The girl with a pearl earring is coming to get you, if she hasn’t already. Johannes Vermeer’s (1632-75) painting of a child in fanciful dress is the main point of marketing that the High Museum is using to draw visitors for its current leading show of paintings from the Dutch Golden Age. Her image is everywhere, and in supersized format. High Museum’s south entrance, June 2013. Other artists of note are on display in the show, Rembrandt van Rijn (1606-69) for one. Rembrandt had a far longer career and produced a larger body of work than did Vermeer. Rembrandt, through work and perseverance, and by grace, became an old artist. Perhaps in his time, as in ours, being an old artist gained him courtesy from others, along with a good bit of the cold shoulder. In the High’s show, Vermeer’s painting of the girl is his only work on display. And yet one entire room is provided for displays of background information about Vermeer and his methods. And another entire room is provided for more Vermeer facts and that solitary painting, “Girl with a Pearl Earring,” which measures 17.5 inches by 15.4 inches. 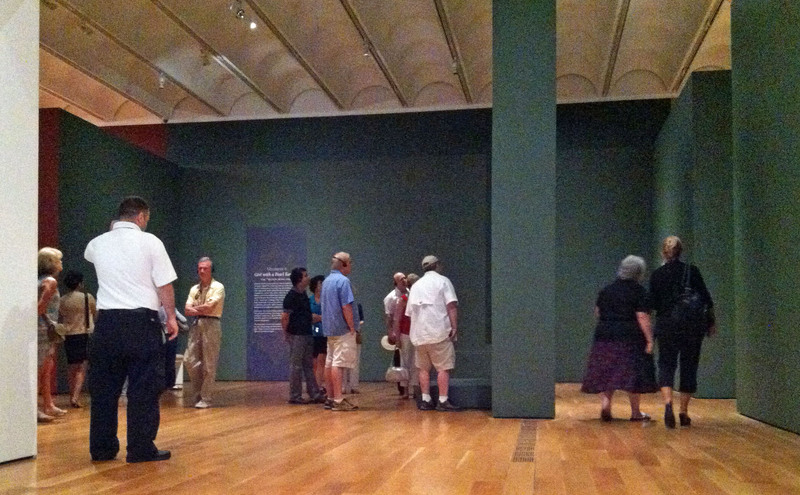 Visitors viewing “Girl with a Pearl Earring” at the High during Member Preview. In the Rembrandt area of the exhibit, an information board asserts that artists’ work declines in quality as the artist ages. It then graciously allows that Rembrandt was an exception to that general rule. We would like to argue gently that there could be some age discrimination lurking in that statement. If Rembrandt managed, in his last couple of years, to create work that reflected innovation, boldness of character, and sureness of method, such as in “Portrait of an Elderly Man,” it should be noted that advanced age is no obstacle to those values. 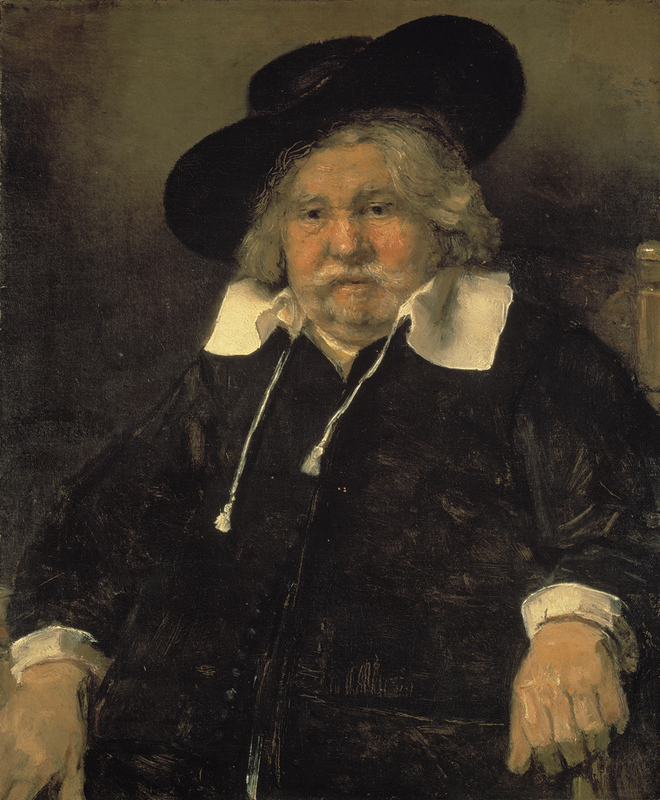 Rembrandt seems also to have valued artistic honesty at the time he painted “Portrait of an Elderly Man.” His subject’s mood, dress and posture suggest that the plain presentation of the real man in a particular moment could be made exquisite. The honesty of that moment could in fact be as well valued as a portrait carefully posed with an evocative scarf and a provocative glance. 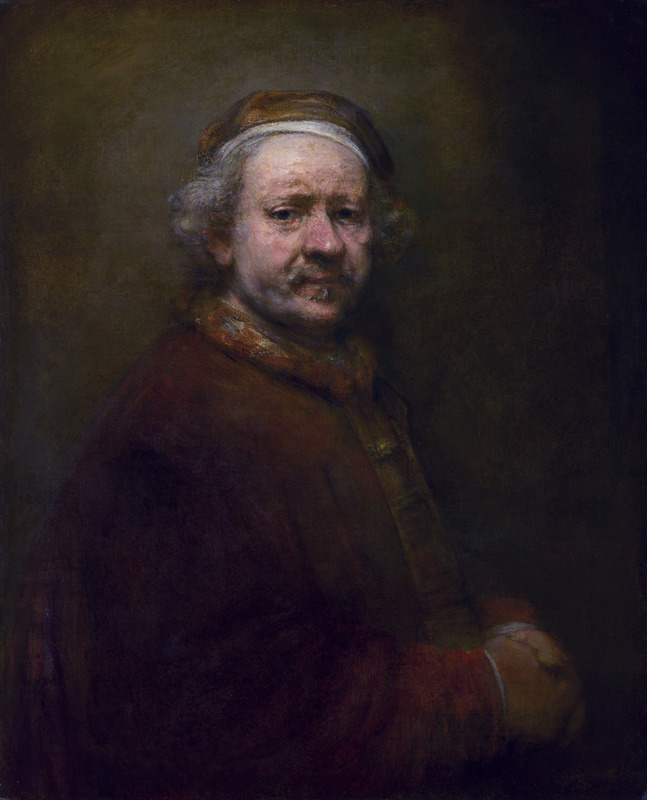 We probably see Rembrandt’s pursuit of honesty in a self-portrait he painted in the last year of his life. Self-portrait at 63, Rembrandt van Rijn, oil on canvas, 1669, via Wikimedia. Beware, High Museum writers. We’re keeping our eyes on you. 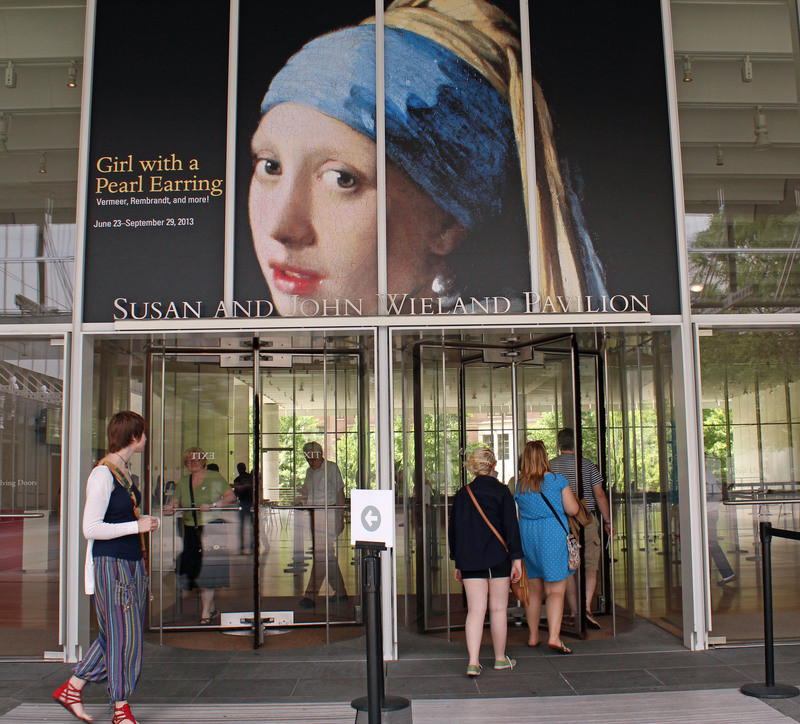 The High Museum’s “Girl with a Pearl Earring” show is on view through September 29, 2013. This entry was posted in Art in Atlanta and tagged Aging, ARTnews, Dutch Golden Age, Figurative art, High Museum, Mauritshuis, Rembrandt, Tronie, Vermeer on July 1, 2013 by Bryan Alexander.